On December 6, Business Secretary Greg Clark marked the first anniversary of the UK’s modern Industrial Strategy. He announced new Sector Deals with the aerospace and rail industries, including an exciting new ‘Future Flight’ programme focused on developing electric planes, drones and autonomous aircraft. During a speech delivered before an audience assembled in Bristol – a city recognised for its industry and innovation – he revisited the ambitions behind the modern Industrial Strategy, before looking forward to what he hoped it would mean for the sector in 2019 and beyond. AI and the analysis of big data was one of the four Grand Challenges laid out by the 2017 Industrial Strategy. The work of Bristol’s Turing Institute is helping to turn this challenge into a reality – and manufacturers will have the opportunity to reap the benefits of new technological developments over the year to come. AI, machine learning and advanced analytics will provide new solutions, helping them to put their data to better use and improving productivity and efficiency across all operations. The development of new software and new machinery are both critical in securing our nation’s manufacturing future – and the potential applications of both are endless. We recently wrote about how manufacturers can use their energy data to create new value and boost their bottom line. 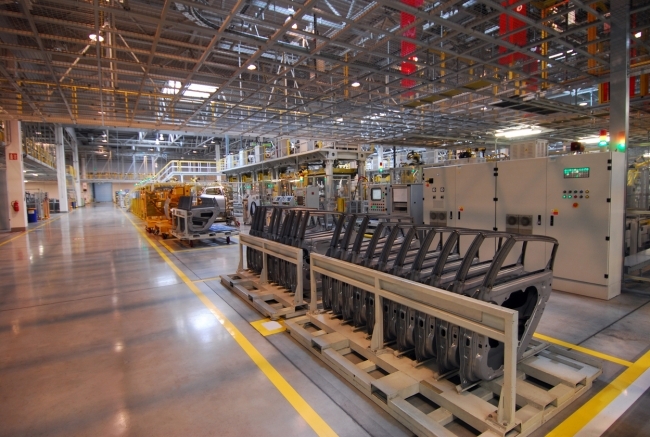 From energy management to enterprise resource planning (ERP) software, and from enhanced robotics to innovations in transport, new advancements in technology should be on every manufacturer’s radar in 2019. The second of the Grand Challenges laid out by the modern Industrial Strategy was Green Growth – and its importance was emphasised once again on 7 December. In 2018, we also saw the publication of the UK’s Clean Growth Strategy and the first ever Green Great Britain (GGB) Week. This placed the need for low carbon solutions and an environmental consciousness firmly at the heart of our nation’s commercial and industrial plans for the future. The UK is now the world leader in installing offshore wind, driving down the cost of wind power by half in the last two years alone. For businesses who want to make an immediate difference to their green credentials, choosing renewable energy can be an easy choice to make. We offer our customers green electricity for the same cost as brown, covering the additional costs associated with ‘going green’ so that they won’t suffer any financial penalty for making a responsible choice. With so many consumers demanding greener choices and so many retailers requiring sustainability across their supply chains, green energy will be the natural choice of commercially astute manufacturers in 2019. Read our article on why Green means Business. The Business Secretary’s speech recognised that businesses of all sizes, up and down the country, need to be fully on-board if the UK’s industrial ambitions are to be realised. It also recognised the need to empower local businesses and workers. The focus on breaking down borders and eliminating silos between innovators, businesses and industries is something we can really get behind. As is the focus on unique local opportunities, on community and on collaboration. 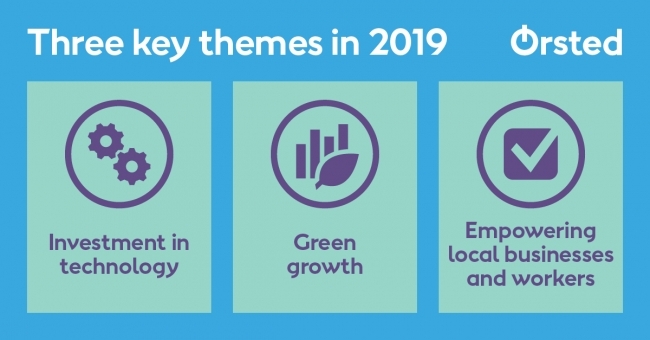 In this spirit, during 2019, we’d like to help more businesses understand how their relationship with energy can help to shape and support their broader growth strategy. We want to collaborate with them to help them play their part in our nation’s better energy future. This is why we have worked hard to remove the obstacles to energy flexibility and why we’re continually striving to shape our energy solutions around the real needs of real businesses. 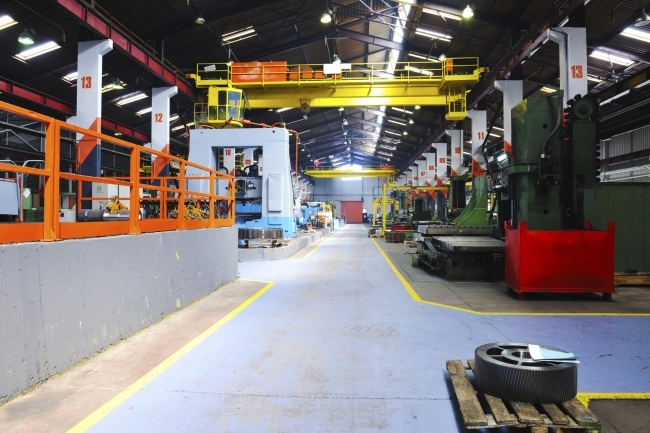 If manufacturers are looking to make changes to boost their resilience and productivity in 2019, energy may only be one part of the puzzle, but it’s a great place to start.